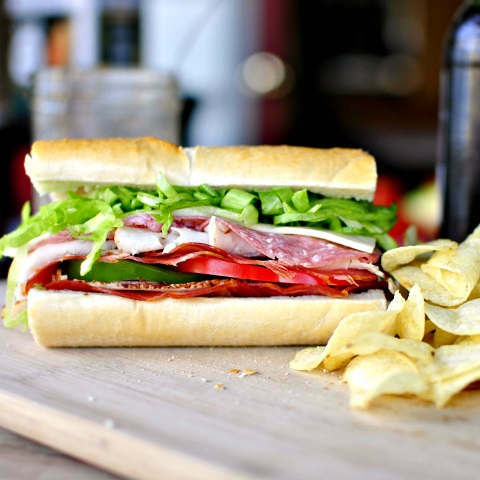 Italian Supreme Sub! Served with ham, pepperoni, salami, provolone cheese, lettuce, tomatoes, red onions and Italian dressing. You can choose side between Chips, Pasta salad & French Fries.